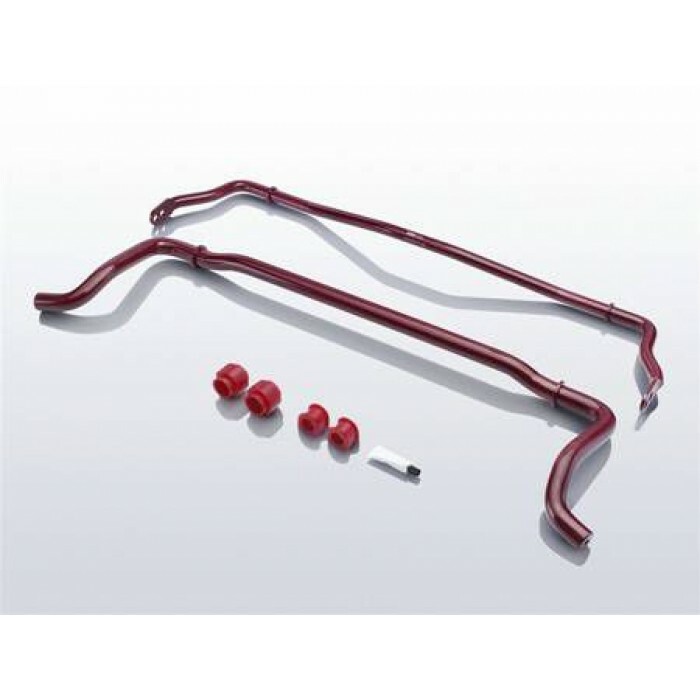 Complete your suspension upgrade with an Eibach Anti-Roll-Kit. While the Pro-Kit and Sportline spring sets are regarded as the primary suspension enhancement components, the Eibach Anti-Roll-Kit allows critical fine-tuning of your car’s handling characteristics. Manufactured from cold-formed, high-strength aircraft-grade steel for precision performance, and finished with a longlasting red powder coat finish, the Anti-Roll-Kit comes complete with all mounting hardware and instructions for easy installation.